Do you know how you can use an FHA rate-and-term refinance loan? This type of FHA refinance loan is for owner-occupiers and features no cash back to the borrower (except for refunds), and has a variety of possibilities. September 16, 2018 - Do you know how you can use an FHA rate-and-term refinance loan? This type of FHA refinance loan is for owner-occupiers and features no cash back to the borrower (except for refunds), and has a variety of possibilities. When is an FHA Rate-And-Term Refinance Loan Possible? Depending on how long the borrower has been making mortgage loan payments, the availability of an FHA rate-and-term refi loan will depend on how the loan applicant has paid the mortgage. HUD 4000.1 states that for refinance loans on a home with fewer than six months of mortgage payments, the borrower must have made “all payments within the month due”. For FHA Rate And Term refinance loans on mortgages with greater than six months of payment history, “the Borrower must have made all Mortgage Payments within the month due for the six months prior to case number assignment and have no more than one 30-Day late payment for the previous six months for all mortgages”. Furthermore, the borrower must have made the most current payment in the month due. The Borrower must have made the payments for all Mortgages secured by the subject Property for the month prior to mortgage Disbursement. Depending on how long the FHA loan applicant has been paying on an existing FHA mortgage that is being refinanced as a rate-and-term loan, a refund of UFMIP may be possible. Ask your loan officer how this may apply and in what form the refund may take depending on how it was paid. 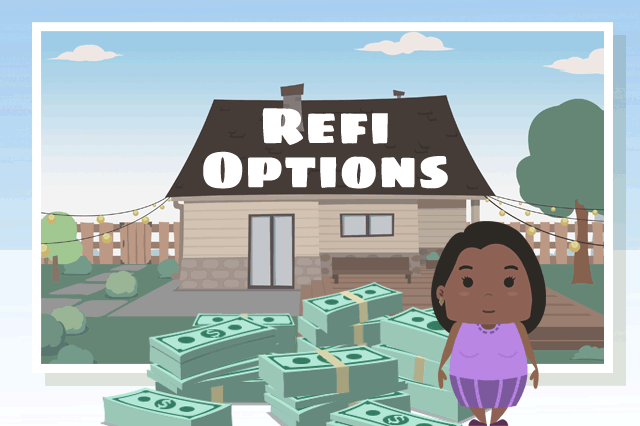 The amount of a rate-and-term refinance depends on how long the borrower has owned the property. For those who have been in the home for 12 months or more at application time, the LTV is 97.75 percent for Principal Residences that have been owner-occupied, “for previous 12 months, or owner-occupied since acquisition if acquired within 12 months, at case number assignment”. The maximum mortgage amount for an FHA Rate-And-Term Refinance Loan is described in HUD 4000.1 as being “ the lesser of...the Nationwide Mortgage Limit; the maximum LTV based on the Maximum LTV Ratio, or the sum of existing debt and costs associated with the transaction”.